Forget old-school lemon desserts – limes are the new “it” citrus. 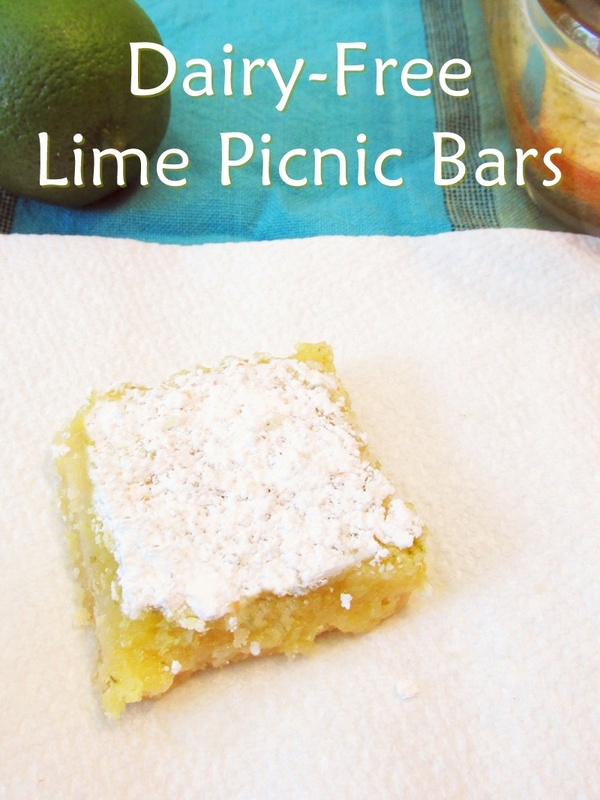 Embrace the trend and bake a batch of these amazing dairy-free lime bars! They’re so easy that kids can cook them, too. It is late spring in Western Pennsylvania, which means that it was ninety degrees yesterday and tomorrow’s field day at school will be rainy and in the sixties. That doesn’t mean we get the outerwear back out of the closet, though. Oh no. A few Sundays ago as we were entering church (28 degrees when I woke up) a woman who attended the early service burst out of the doors in white capris, a summery top and glittery sandals, said, “Brr!,” looked at me and said defiantly, “I’m not getting my coat back out! I’m just NOT.” I said, “I understand.” And I do. This is the time of year when I will pay any price for asparagus and strawberries and other harbingers of warm weather. Luckily, asparagus was on sale this week. We’ve been making Catherine Newman’s dairy-free Asparagus with Delicious Dip a lot. A lot. Do you know Catherine Newman? She is the editor of ChopChop magazine and the author of Waiting for Birdy (a must-read for anyone expecting a baby). She is also a great cook. 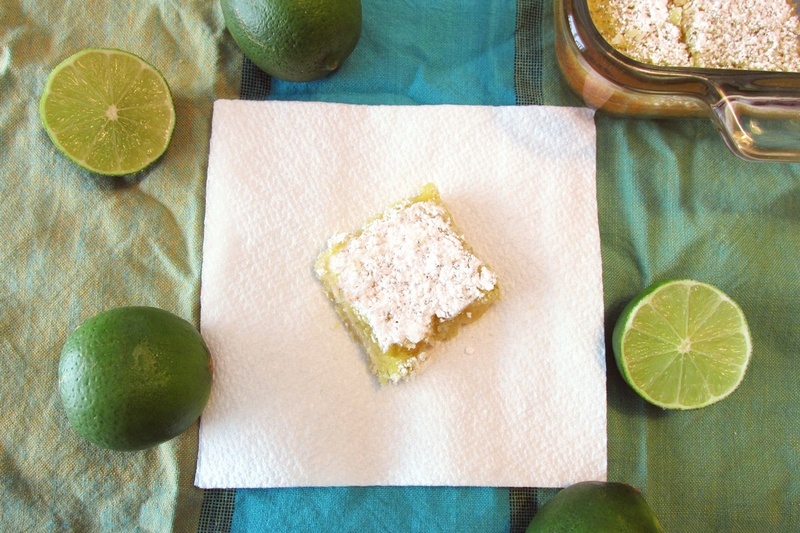 This summery-ish recipe for lime bars is a dairy-free riff on Catherine Newman’s version of lemon bars. 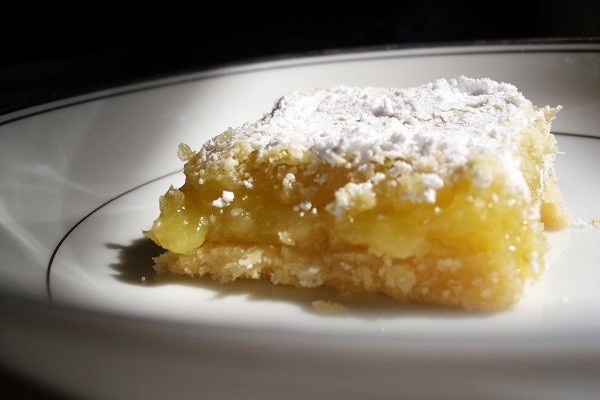 Her recipe varies from other lemon bar recipes I have known and loved because it uses the juice of one lemon and the zest from two lemons. My daughter and I decided to use the zest and juice from two limes for our lime bars because, why not? We also tried her recipe with the traditional two lemons and one lemon and one lime. Citrus bars, now with limon! If you have key limes, I bet that would be good, too. We have made these lime bars so many times the past few months: St. Patrick’s Day (with a little green food coloring), Easter (also with green food coloring and pastel sprinkles on top of the powdered sugar—my mom said it looked like our typical Easter with the eggs scattered on the snow. Ha ha. ), and pretty much every weekend. My eleven-year old can even make these dairy-free lime bars by herself, which is an educational experience for her and a treat for her parents. It’s empowering to be able to cook, especially if you have dietary restrictions. It’s great to be able to make whatever you want in your own kitchen. And it’s nice to have something summery to eat on a cold June evening. These lime bars do use eggs in the filling for a classic texture. 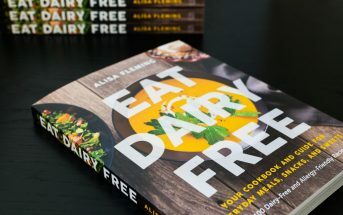 If you are someone who confuses eggs with dairy, you’re not alone! See this post: Are Eggs Dairy? For egg-free, try the filling in one of these vegan recipes, using lime in place of the lemon: Joy of Vegan Baking Lemon Bars (uses silken tofu – not soy-free) or Veganomicon Lemon Bars (a gel-like filling, but soy-free). In a mixer, beat the margarine into the flour, salt, and sugar and mix until it forms a bowlful of sandy crumbs. Pat this mixture firmly into a well-greased 8x8-inch pan and bake for 20 minutes, until deeply golden. Meanwhile, whisk together the sugar, flour, and baking powder, then whisk in the lemon juice and zest and the eggs. Whisk until smooth, then pour over the partially-baked crust and bake for 25 minutes. Cool, then sift powdered sugar over the top and cut into 16 squares. I tried these this weekend for our group. We had several no dairy & no gluten people there. Using gluten free flour worked great, the went over well. Has anyone tried these with gluten-free flour? I have some people with both allergies and this sounds great if we could substitute. I haven’t tried, Paul, but I bet it would work. Please report back if you try! 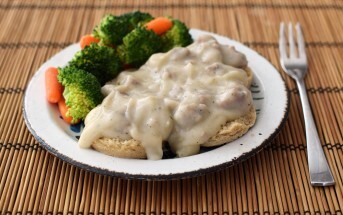 Has anyone tried freezing these after they are baked? I’ve never tried freezing them. I’m not sure how the filling would hold up? If you do try, please report back!